In order to book your wedding date Perfection Hair and Makeup requires the bride to pre-pay for both her trial and wedding day services as a deposit. Once I have received the deposit I will send you a wedding confirmation in the form of a meeting request. The timing, location, number of people confirmed for services, pricing and any other details will be saved you are always assured that everything is booked exactly as you have specified and that we are both aware of all of the details of the day. The deposit is non-refundable because your wedding time is held specifically for you and I turn down any other work that may conflict with my availability for your wedding. In order to book a weekend appointment during peak wedding periods (May-October) there is a minimum of $475 in wedding day services required when booking (per stylist). If your requirement for services changes after booking your appointment and falls below $475 you will still be responsible for the minimum charge of $475. If you are a large wedding party of 5 or more and require additional stylists there is a $475 minimum charge per stylist. If you have any questions regarding this policy please ask. At the pre-wedding trial we will try hair and makeup styles that will help you to have a clear vision of how you will look on your wedding day. Because I want you to be 100% confident on the wedding day I require my brides to agree to book a pre-wedding trial. At the trial we can try multiple looks for both hair and makeup and will work on the look until you feel completely comfortable. We will also take photos of the looks so that it can be perfectly recreated on the wedding date and I record the products and colors used. On the trial day please have clean and dry hair, a makeup free, moisturized face and pictures or ideas of styles you like (not to worry if you don't have any ideas, I'm always happy to help you figure out the perfect look). The trial also offers us an opportunity to go over timing and details in person. All makeup and hair styling tools and products are provided. Please insure that your location has adequate space, a chair and table and a good lighting source. Please also have clean/dry hair and a makeup free, moisturized face; you may also want to wear a button-down shirt so that your hair is not impacted when you change clothes. I use a variety of professional makeup brands that are designed to look flawless and to last all day and night. I use only what I’ve found to work the very best in my 15 years of experience. I set all makeup with a setting spray to insure maximum wear. All makeup products and tools are sanitized using professional sanitation practices. Disposable wands are used for mascara. Proper sanitation is of the highest priority to me as a professionally trained makeup artist and stylist. Although I use products that tend to work well with most skin types, products can rarely be considered truly hypoallergenic as sensitivities are unique to each individual. If you have any concerns regarding sensitivities please address them with me and I will do my very best to accommodate you, however, Perfection Hair and Makeup will not be held liable for any reactions that may occur. 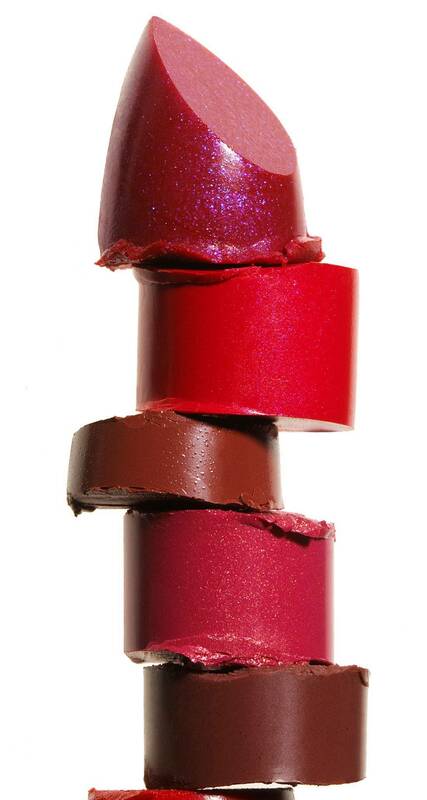 A lipstick touch-up kit is provided to each client who receives makeup application. I bring a wide selection of false lashes with me that can be purchased for an additional $15 including application. If you would like eyelash application with your own lashes the cost is $10. Proper timing on the wedding date is essential for a stress-free experience and I pride myself on being accurate in the amount of time I book for services and in staying on schedule. I will always assist my brides with creating a schedule for the wedding day so that we can insure both you and your bridal party have ample time for styling and that there is also a little extra room built in just to be safe. It is a priority for me that my appointments are always relaxed and comfortable so that everyone is able to enjoy getting pampered and start their wedding day in the very best way possible! An invoice will be sent to the bride prior to the wedding date. It is the responsibility of the bride to collect payment from each person receiving services and make one payment, by email money transfer or cash, prior-to or at the start of the appointment. Email money transfers will not be cashed until services have been completed. Full payment is due at the beginning of all appointments with no exceptions. If a member of the bridal party does not have payment ready the bride agrees to accept responsibility for payment. By paying in one transaction, and at the start of the appointment, the bridal party will save time and stress by not having to organize or collect payment at the end when touch-ups are being done and everyone is ready to start getting dressed and heading out for the wedding. Do you have any recommendations or tips for brides? After many, many years in the business I have learned a ton of things and will gladly pass on any knowledge I have and answer any questions that may come up for you. Having that base of knowledge is one of the reasons hiring a professional is so essential (there actually is a lot to considered with hair and makeup) . I will be able to go over the pros and cons of any styles you have in mind and together we can figure out the perfect look. For example, many of the hair styles you see in magazines or on Pintrest look great in that photo but wouldn't necessarily hold up well to an active 12+ hour day in windy Calgary. Also many of those styles have tons of clip-in extensions in them. Extensions are great but you really need a professional that knows what they are doing when incorporating them into a style so that they look natural and feel comfortable all day and night. You also need to take into account your hair type. Most looks are possible on any hair type but it takes a professional to help you find ways of achieving your desired look and to help you explore possibilities that may be even more beautiful because they work perfectly with your unique hair. Another thing I ask brides to think about and consider is finding a look that will stand the test of time. Incorporating trendy elements to your look is a fun way to look current but you also want to consider that you will be looking at your wedding photos for the rest of your life (and you will want to love your look for that long too). I generally advise brides to balance trends with classic styling for a look that is modern but timeless. Again, I can help you with this and together we will find the look that works best with your dress, your wedding's theme and your own personal style. - My #1 tip is the value of a pre-wedding trial that's why they are part of the package I offer for brides but I guarantee you will never regret having one! A trial is the best way to insure that you look exactly how you want on your big day. It's also a great opportunity for us to really spend time discussing everything I've written here and get to know one another a little bit before the big day:) Trials are always relaxed and informal and they are also a lot of fun! - For wedding veils metal combs work best because they can be pinned into place the most securely (though I can work with any type of comb). I also provide special pins that will help to keep your veil in but that can easily be removed, without impacting your hair style, if you chose to take your veil off at some point during the day. I will happily show someone in your wedding party how to do this. If you are adding flowers to your hair (one of my absolute favorite looks) your florist is often happy to wrap them in floral tape and add a little floral wire around them also. This makes them even more secure when pinned into the hair style. -If you are going color your hair be sure to do so at least a few weeks in advance of the wedding, so that you have time to correct it if it's not just as you want. -If you wax your eyebrows I suggest getting them done several weeks before the big day and then maintaining the shape with tweezers. Even the highest quality makeup may not adhere to freshly waxed brows due to the fact that the superficial layers of skin can be removed though the waxing process, this can take time to heal. Same goes for facials, a week or two before the big day is best.